SILICON SLOPES, Utah – October 14, 2016 – Domo is headed to the Gartner Symposium/ITxpo 2016 to demonstrate how Domo helps IT leaders maintain sanity and control while meeting the growing demand for real-time data access across the enterprise. By easily and reliably connecting to hundreds of cloud-based and on-premise data sources, Domo provides a single platform from which IT leaders can enable decision makers across enterprise to securely access the data they need to make decisions and take actions to improve business results. Domo’s centralized administrative and governance capabilities give IT leaders assurance that all data access and usage complies with corporate policy. Unlike products that are exclusively built for data analysts, Domo’s focus on the business decision maker makes it easy for non-technical people to access and interact with their business data, relieving the burden on IT of the time-consuming, repetitive tasks of building and disseminating reports. Gartner Symposium attendees can see Domo’s cloud-based platform in action through on-demand demos in Booth 969 in the ITxpo BI Marketplace. Neil Gomes, VP of Technology Innovation and Consumer Experience at Thomas Jefferson University and Jefferson Health will give a Learning Lab presentation on how his organization uses data and Domo to drive innovation to improve patient outcomes. Customers attending the Gartner event can also stop by Domo’s Brilliance Bar in booth 1055 to meet with Domo product experts. 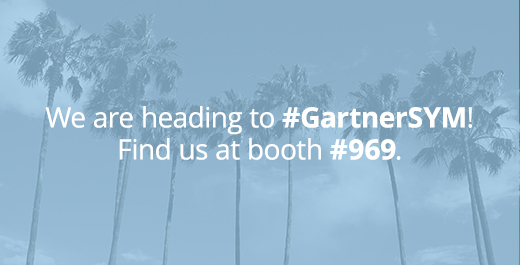 The Gartner Symposium/ITxpo runs October 16-20 in Orlando Fla.